Today we had to wake up at 8 o�clock as the radiostation P3 wanted to have me on their show called High Pressure (in Danish I already forgot the name) at 9.00am. 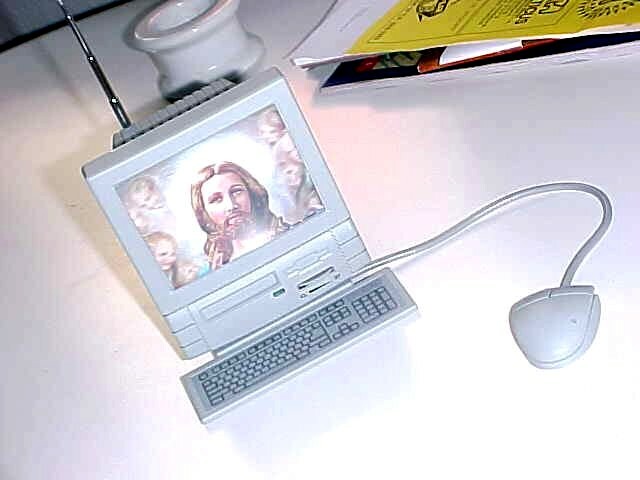 Lars said it was typical a thing of S�ren (his colleague) to give something like this, but he liked the idea of the Christ in the television. Because it�s true: television is now as important as religion was in the past. And S�ren believes it has changed a lot on this planet. After breakfast we took the bus to the radio station in a big massive building that could have been a KGB-residence in Russia. The interview itself was quite fun, because the host was very engrossed to promote my project so I could gain more invitations in Denmark. 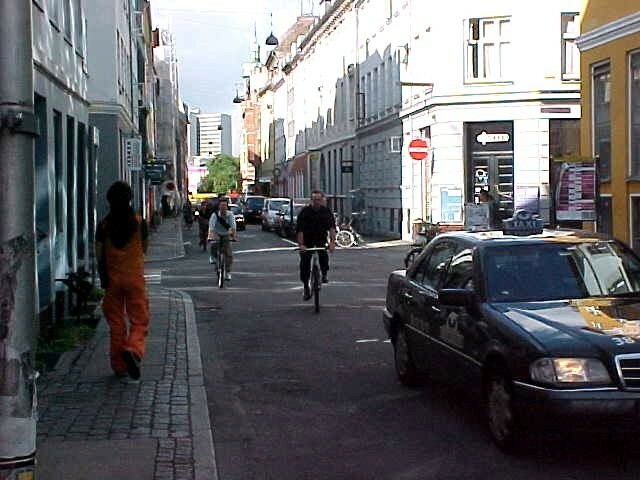 It was amusing how he talked Danish to the listeners and spoke English with me. After the interview the phone lines at the studio were ringing. People even called in to invite me over! 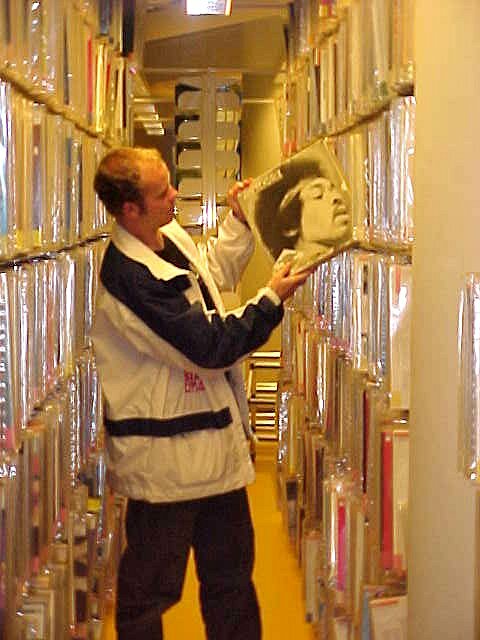 After the show, Lars took me to the basement of the building, where the disc-o-th�que was located. 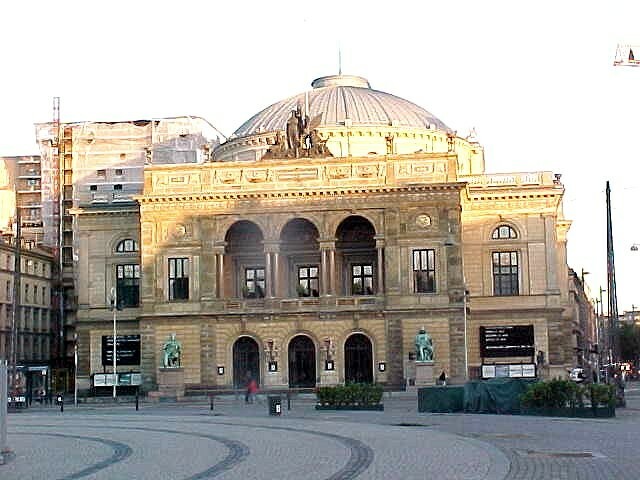 It was like a big library where the Danish Radio keeps all the singles, LP�s and CD�s that have ever been bought. Very impressive to walk through as a music lover like myself. 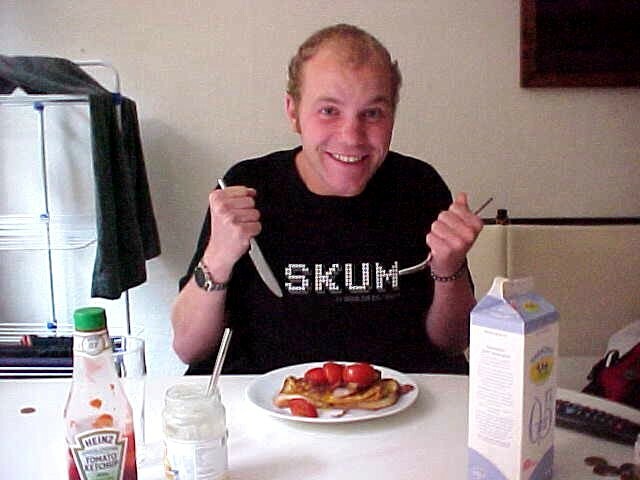 Back at Lars� apartment, I checked out the website and the response of the interview was overwhelming. Invitations were coming in by the minute, so now I have a map of Denmark with a lot of dots on it � place where I am invited. 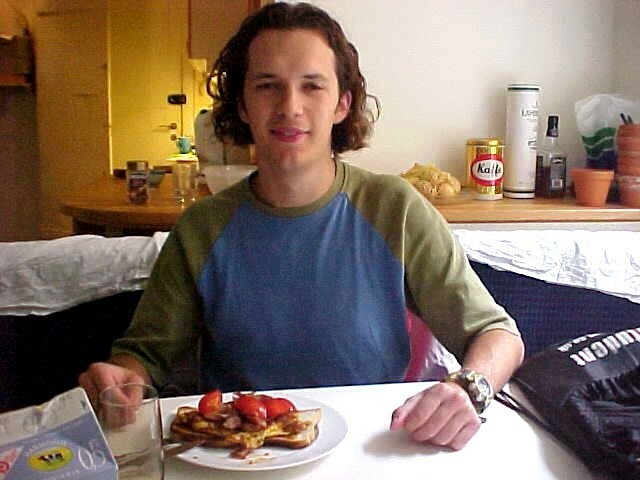 After a omelette lunch, Lars took me out into the city to guide me around in Copenhagen. At the same time [b]he would interview me for his own radio report at different locations, like in a park or on the R�dhuspladsen. Just around the block near his apartment, Lars showed me the Round Tower, which should actually be the landmark of Copenhagen, instead of the always on television appearing Little Mermaid. Having seen the Little Mermaid is the same as telling to a Dutch that you have been to Amsterdam. The Little Mermaid is totally not Denmark, just like how Amsterdam doesn�t represent the rest of The Netherlands. On a stroll down the shopping street the Str�get and its surrounding streets the picture changed from large exclusive stores to curious speciality shops. 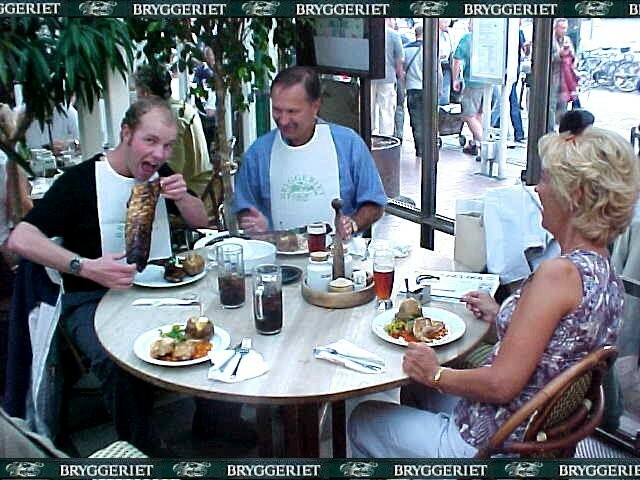 In the end of the afternoon I met Lars� parents. They just came back from a short holiday in Germany today and are on their way to Aalborg, up north in Denmark. They decided to come over and see their son and even inviting me for dinner in a luxurious restaurant. And after the folks told the manager of the restaurant about my project, the man paid a lot of attention to our table. After the dinner, with the longest spare rib I ever ate, we took a walk through the city again and ended up in the Nyhavn. 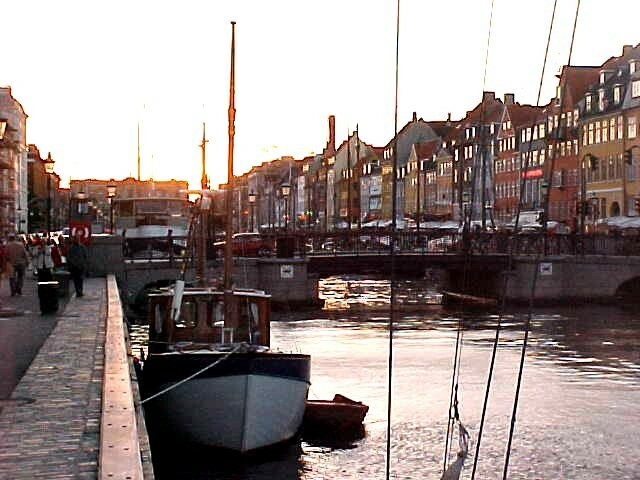 Nyhavn, New Port in English, is a picturesque canal filled with moored sailing boats and runs down to the main harbour. It seemed to be a popular meeting place with the many open air cafes, restaurants and bars � while street artists entertain on the street. 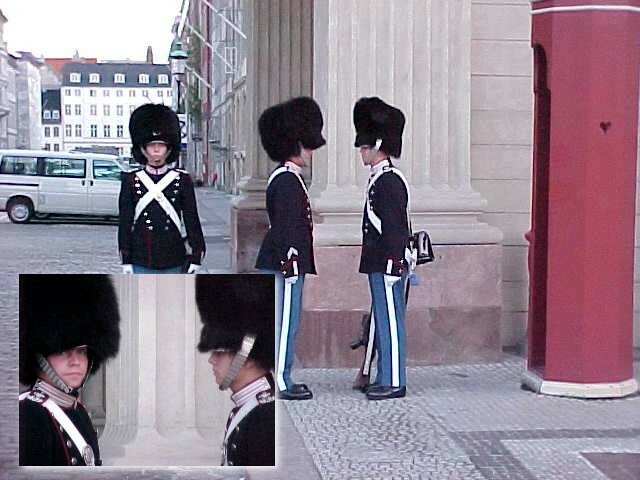 The Vinther Smidt family took me from Nyhavn to the main harbour by car, passing by at the [ur=www.mikitravel.se/place188.HTML]Royal Danish Palace[/ulr], where modest guards are on the lookout. The Queen wasn�t home at that time, as there was no guard in front of her home. 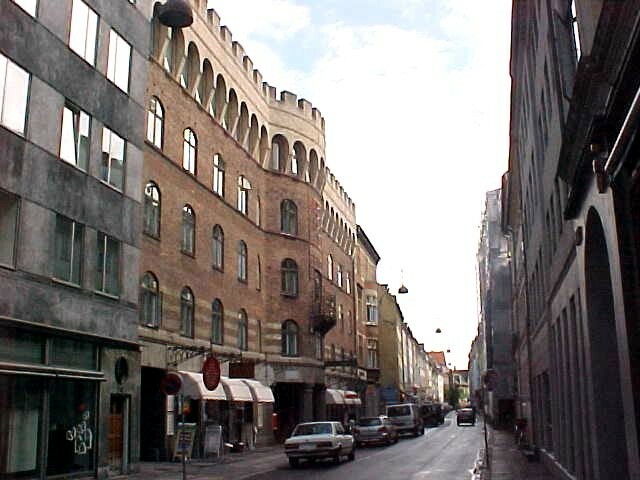 The crown prince was home in his establishment, as to see of the guard walking up and down along the street and a Danish flag was waving in the air on top of the building. From the impressive Royal Palace Square we drove to the seafront, where I was shown the Little Mermaid. 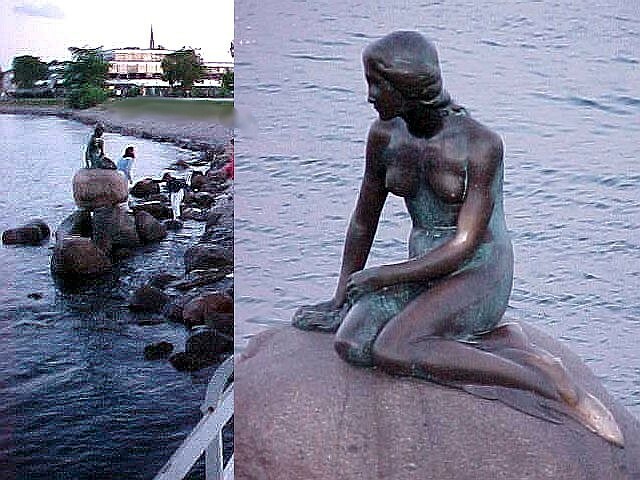 And the Danish are absolutely right when they say that the Mermaid is only a very poor tourist thing. Some Asian tourists were climbing onto the little bronze statue, keen to have their picture taken by their family. Here Lars and I said goodbye to his parents and thanked them gratefully for the great dinner they offered us both. As they left for their road home, Lars took me to see Christiania. 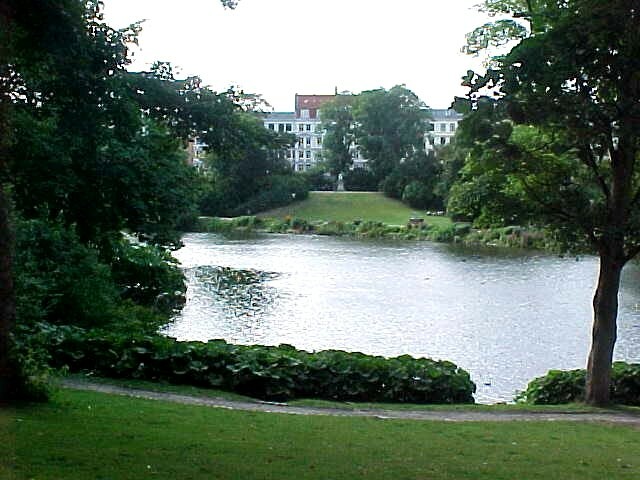 Christiania is a part of Copenhagen, but is a special city itself too. A sign at the very secured entrance even says: �You are now leaving the European Community. No photographs!�. Christiania is the Freetown of soft drugs in Denmark. Once it was a military exercise base, but later squatted. The squatters experimented with drugs, which led to battles with the police and victories for the drugusing hippies. Since its birth, Christiania has been associated with rebelling against the prevailing system, and for just as long, the Freetown has experimented with new terms of democracy and ways of self-government. 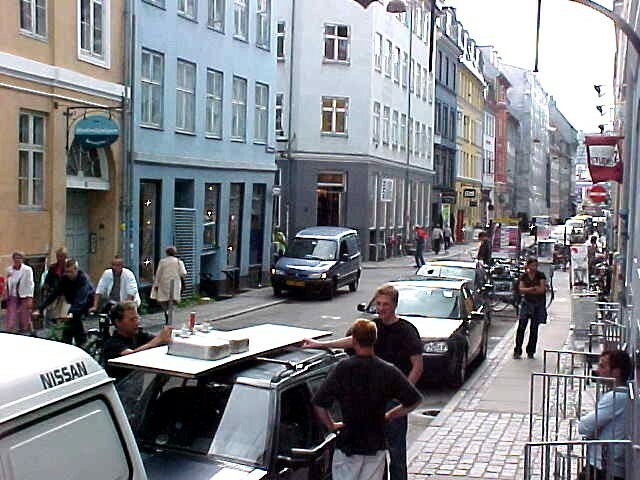 Based on an idea of as much freedom and as much power to the individual as possible, Christiania has organized itself into various councils: The Common Meeting, The Economy Meeting, The Area Meeting, The "busyness Council", The Cooperative Worker�s Meeting, The House Meeting, - and good, old fashioned neighbourly spirit. And it seems to work out fine. The reason why it�s not allowed to take pictures is that the government of Christiana does not want that this place becomes a tourist resort. When we walked through the colourful streets of this Freetown, nothing remembered of it ever being squatted. Everyting was neat and carefully organised. Even the drugs in the stalls were exposed with care. We ended up in a open air bar where we drunk a beer. Here Lars recorded the last bits of his interview with me for Danish Radio Channel 1. Of course he wanted to know my opinion about this �drug place�. If you like to smoke soft drugs, this is the place to visit in Copenhagen, because they cut it right from the block here. Don�t expect that in Amsterdam, where everything goes by the gram and in pre-packed small bags. It must be very strange for other foreigners to understand this legality of certain drugs, but I think it is a Dutch thing to be more tolerant and more open-minded on this world. In every country drugs are used, which you can�t deny. Legalizing the soft drugs in the Netherlands is okay, as long as enough information is given on how and how not to use it. Just to prevent it going all wrong. That�s the difference with other countries. But this does not mean the Dutch are always stoned by drugs, which can be an outside view. It is for us the same as drinking beer or smoking cigarettes. You do it or you don�t, with all respect for the users. From vague and blurry atmosphere created by the visitors in Christiania, we took a cab back home. It was a long day, but a very interesting. 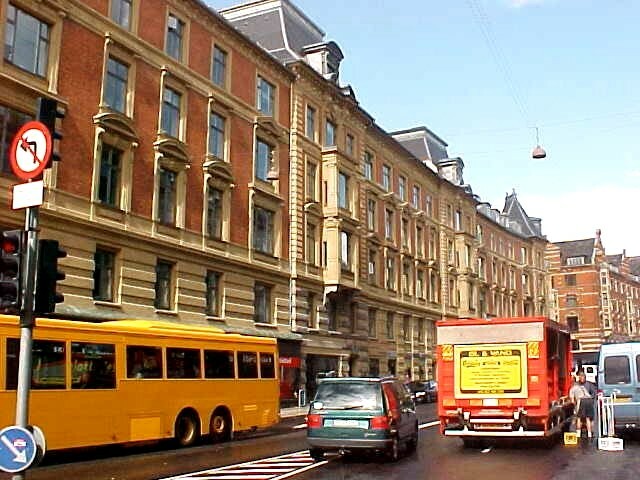 I experienced Copenhagen not as a tourist, but as a visitor, guided by a resident. If you ever come here and need a guide, I know one!